Kont Safiran Lada Al-Sultan (I was an ambassador to the Sultan), Abdel-Rahman Salah (Cairo: Nahdet Misr), 2019. 300pp. 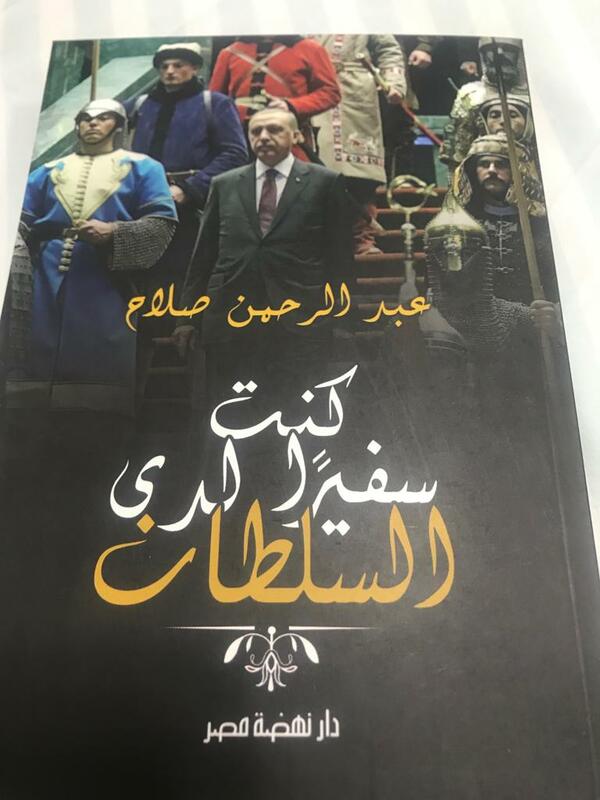 The book, over 300 pages long, is the story of Egyptian-Turkish relations through the notes and recollection of Egypt’s last ambassador to Turkey: Abdel-Rahman Salah. Salah assumed his post in Ankara in the autumn of 2010, at a time of expanding development and economic cooperation between Egypt and Turkey, through the January Revolution in 2011, the presidency of Mohamed Morsi in 2012, the 2013 demonstrations and the subsequent ouster of Morsi, and the institution of supreme court chair Adly Mansour as interim president for one year. “This book is precisely about what I saw and what I thought at the time; it is the telling of the story as I saw it unfold from beginning to end,” Salah said in an interview with Ahram Online. Salah spoke after the Cairo Book Fair, which showed considerable interest in his book. “I guess this interest is about the subject as well as the fact that the book is not at all designed to convey any hidden messages or take any positions for or against anyone; it is strictly a factual narrative,” he said. In 14 chapters, Salah mostly tells the story in reverse chronological order. He starts out with a notification he receives while in Cairo, after having been summoned for consultations to protest the “offensive” statements of then-Turkish Prime Minister Recep Tayyip Erdogan against the authorities in Egypt in the summer of 2013. He then recounts his time in Turkey under the rule of Egypt’s president Morsi, the candidate of the Freedom and Justice Party, the political arm of the Muslim Brotherhood, who was sworn in in June 2012 as Egypt’s first elected head of state. After a stream of consciousness telling of the Mubarak era; Salah offers his recollection of relations between Cairo and Ankara as Hosni Mubarak was stepping down and when the Supreme Council of the Armed Forces (SCAF) took over state management between the end of Mubarak’s rule until Morsi’s swearing in ceremony. The largest segment of the book, however, is dedicated to the 12 months of Morsi’s prematurely interrupted rule: from June 2012 to June 2013. 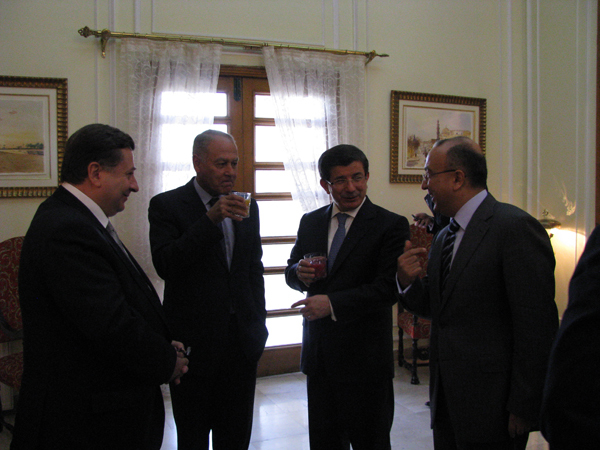 It reflects on the early meetings between Egyptian and Turkish officials, the visits by Turkish officials to Egypt, the expansive planned cooperation between the two sides, and the “hard to miss affinity” between the FJP rulers in Egypt and their counterparts in Turkey from the Justice and Development Party (JDP). The detailed accounts and anecdotes are endless. They show a tired Morsi all but forced to attend a long party speech by Erdogan during a visit by the former to Turkey, aggressive Erdogan security management pushing aside Egypt’s prime minister Hesham Kandil to clear the way for the prime minister towards the gentlemen’s room and a foreign ministry that is not kept in the loop on the outcome of high-level consultations between Morsi and Erdogan. His account, Salah said, was “not at all designed to demonise the rule of the Muslim Brotherhood – not at all; it is just what I saw happening during the highest point of interaction between Egypt and Turkey during my mandate as Egypt’s ambassador in Ankara during that year,” Salah said. The book also makes comparisons between the Mubarak and Morsi management of foreign relations. “At one point, I saw Morsi acting in the same authoritarian way that had taken over Mubarak almost completely towards the end of his rule. I recall in the book that I mentioned this to Morsi and I detail his unpleasant reaction to my statement,” Salah said. However, Salah says, the layered story in his book, “which is based on notes that I took while in service,” is not exactly about Morsi and Erdogan, but rather about the variations of Islamist rule and the complicated relations between Egypt and Turkey since Erdogan took over and throughout the rule of the Muslim Brotherhood president. “When Morsi was elected president in Egypt, many across the world thought that he would be offering just another version of Erdogan’s rule, where the Islamists were integrated into a secular system,” Salah said. Salah says that what the book was also hoping to reflect on is “the longer history of tension between Egypt and Turkey. It actually started under Mubarak and for good reason – because right from the beginning there was a sentiment in the quarters of foreign policy making in Egypt that Erdogan had a wish to sort of revive the ‘Turkish empire’; this was not something that Egypt would have or should ever accept,” Salah said. But then again, Salah argued, by that time Erdogan had not fully revealed his desire to be the new sultan. However, Salah suggested that when all is said and done, there are real reasons for a political bras de fer between Egypt and Turkey and avenues for possible cooperation. “It was possible to keep a balance; it was possible to keep things going, but it was not at all possible, at least in my opinion, for the Turks to assume at any point that they would be the leading power of the region and that Egypt would be a subordinate player – not before and not after the January Revolution,” he said. Still, Salah does not immediately subscribe to any final judgment about the future of Egyptian-Turkish relations. 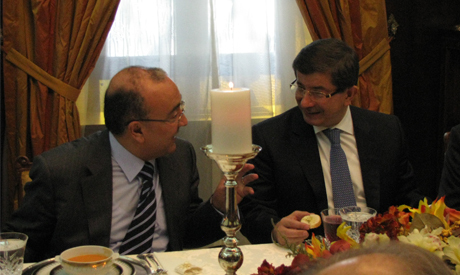 A great deal, he said, would depend on how Turkey will be managing its foreign relations in the future. Salah actually wrote his Ph.D. thesis on the foreign policy choices of Turkey towards Egypt after the Arab Spring. He is set to defend this thesis in the spring at Charles University in Prague, where he served his last post as an ambassador before he retired two years ago.